I started doodling some cats last week. Go figure, right? 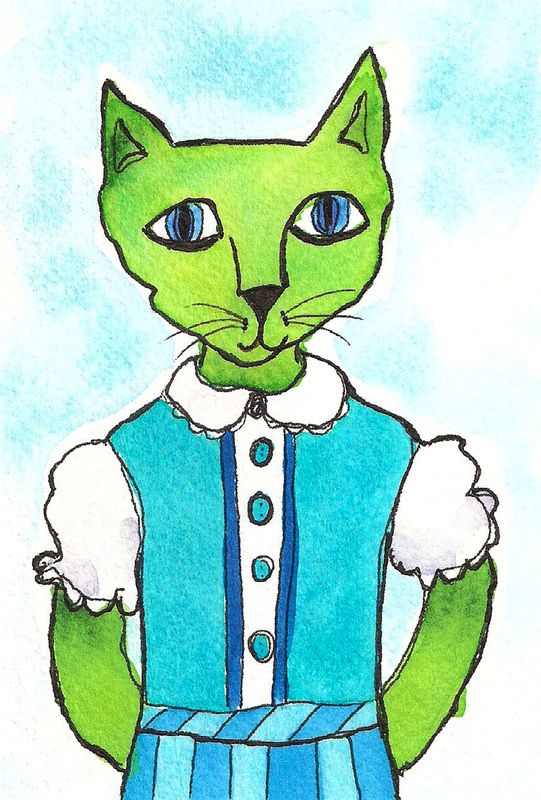 Crazy cat lady drawing cats!! Anyway, after I finished this doodle, it sort of reminded me of those pictures you get taken when you are in school. So I decided to draw a whole class of cats. After I added the paint, I decided her name was Stella. I love that name. You don’t hear it much anymore. Can't wait to see the whole class of cats. How fun is this lady. Stella fits her perfect! I love alliteration! I also love Stella! Love the alliteration too!! And Stella is an oldschool girl for sure!! Looks like a class photo indeed! !